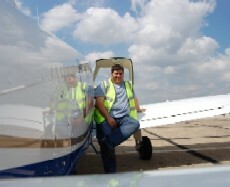 Craig has completed his PPL training and has done his night and complex ratings, all at Andrewsfield Aviation in Essex. He’s now about to start doing his ATPL training and has done a great deal of research into which providers to do the various elements with. He is very active of the Flyer Forum and the PPrune Forum both of which, he says, have been very helpful in getting advice on his career path. He has also visited all of the companies on his candidate list to see, first hand, what sort of service they offer. He did recommend going along to the Flyer Flight Training Exhibition where you can meet many of the professional pilot training organisations. Craig thinks that, as he really needs to continue working, he’ll be going down the modular, distance learning route. Having researched the subject in depth, Craig thinks he’ll be going with Cabair for the ATPL theory groundschool at Â£895, with CATS coming in a close 2nd. He mentions their price, flexibility and quality of training material as the key criteria for choosing Cabair. Cabair are also in his list for choices for doing his flying training but he thinks that he is leaning more towards Stapleford. Craig says that both Cabair and Stapleford come in at roughly the same price with their CPL training listed at approximately Â£5,000 and the IR at Â£11-12,000. Overall, Craig says that he is budgeting approx Â£60,000 to get to his frozen ATPL. Craig is doing his bit to promote aviation and helps organise fly-outs via the Flyer Forum. If you have any questions about your own training, I’m sure that he’ll be gald to offer his advice. 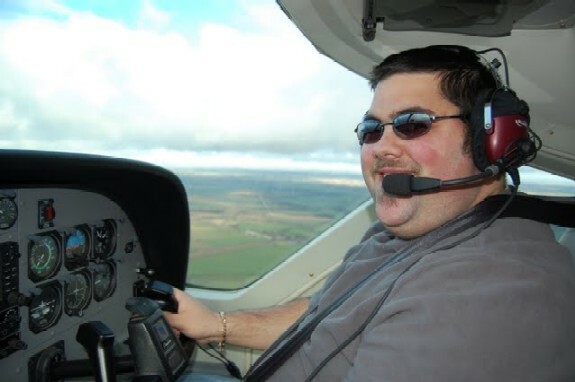 He goes under the name of Night Hawk on the Flyer Forums and VFR Transit on the Pprune Forum. This entry was posted in All Podcast Episodes, Flight Training, Flying Professionals, GA Flying and tagged Bristol Groundschool, Cabair, Flight, Flight Training, Flying, General Aviation, Oxford Aviation, podcasts, Stapleford by admin. Bookmark the permalink.